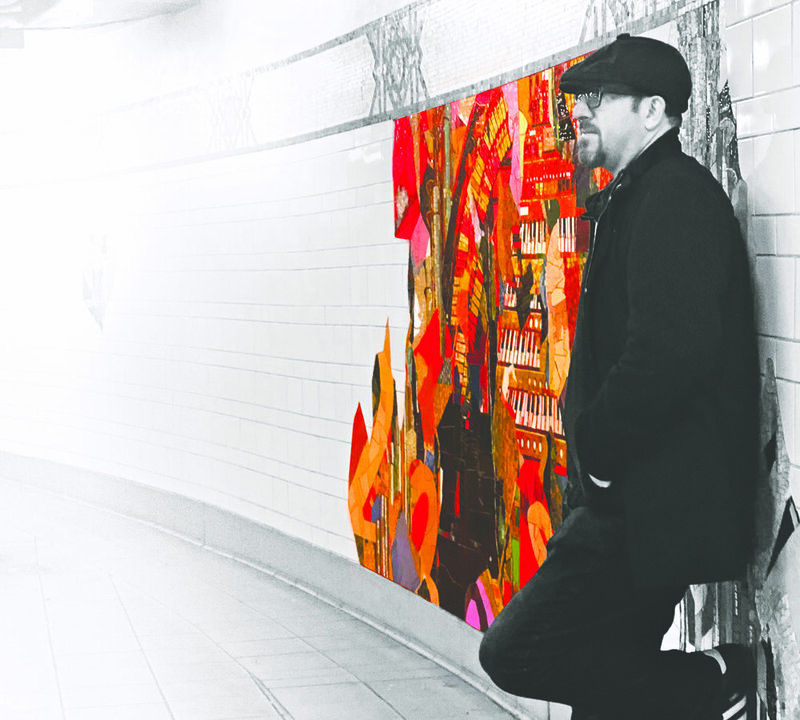 Aaron Whitby is an award-winning record producer, composer/songwriter, pianist, engineer and educator born and raised in London, England, and a longtime resident of Brooklyn, New York. With Cousin From Another Planet his debut album as frontman, Whitby comes full circle to his jazz and funk roots pulling together an amazing cast of friends to realize his musical vision, as described by renowned music writer Greg Tate, of “a funk-da-fied jam session feel undergirding tight, knotty jazz-smart progressions”. With tunes inspired by the animated energy and profound innocence of his young son, humorous lyrics that celebrate empathy and empowerment and musicians given the freedom to take the music wherever it feels good, according to Tate, this album is “one of this era’s hardiest re-dedications and festival-tent revival of soulful and exploratory jam-gnocity.” Cousin From Another Planet live onstage is a music and visual experience accompanied with video art by VJ Lady Firefly (Dave Chappelle, The Roots) to capture the colorful, cartoonish and movement-inspired worldview. Whitby is best known for his work with longtime collaborator Martha Redbone, the acclaimed Native/African-American songstress with whom he created the music genre ‘Native American Soul’ and subsequently took poet William Blake to Appalachia. The singles and albums they co-wrote/co-produced include notably; “Home of the Brave”, “Skintalk” and “The Garden of Love – Songs of William Blake” have received numerous awards and critical acclaim. Currently the team have created and tour “Bone Hill- The Concert”, a devised, multi-disciplinary theatrical concert originally commissioned by Joe’s Pub and The Public Theater. Whitby and Redbone are recipients of the NEFA NTP Award and an NPN Creation Fund Award, and are currently developing a new musical commissioned by the Public Theater in NYC supported in part by MAP Fund and Creative Capital. Mentored by Ohio Player/Funkadelic Walter ‘Junie’ Morrison, Whitby has recorded with; Natalie Cole for her Grammy-winning single “Livin' for Love”, George Clinton, Randy Brecker, Neil Sedaka, Scott English, Lisa Fischer, Tony Trischka, John McEuen, Raul Midon, David Amram, Alex Bugnon, Rodney Holmes, Harvey Goldberg, Snehasish Mozumder, Omar Faruk Tekbilek, Jonathan Spottiswoode, Keith Secola among many others. Whitby has performed with; Nona Hendryx, Brian Jackson, Vernon Reid of Living Colour, Ben Sollee, Sandra St Victor, Mino Cinelu, Brooklyn Raga Massive, Mary Fahl, R. Carlos Nakai and Jojo Kuo among others. Whitby is also Musical Director for Martha Redbone which features a roll call of NYC’s finest including Fred Cash, Alan AB Burroughs, Charlie Burnham, Marvin Sewell, Tony Mason, Mike Campbell, Toby Williams, Rocky Bryant, Kevin Johnson, Keith Fluitt, Jerome Harris, Zach Brock, Robin Macatangay, Ron Jenkins, Abe Fogle, Gene Lake, Daniel Sadownick, Skoota Waner, Adrian Harpham, Eddie Allen, Keith Loftis, Ada Rovatti, Mazz Swift, Tim Luntzel and Gary Foote. Performances with Voices of a People’s History in NYC have brought Whitby to the stage alongside notable actors Frances McDormand, Marisa Tomei, Maggie Gyllenhall, Aasif Mandvi, Viggo Mortensen, music performers Talib Kweli, Stew and Heidi and poet Stacey Ann Chin. Whitby’s theatrical commissions include composer for New York Theater Workshop “The Plurality of Privacy”, Gung Ho Theater Company, “Flood in the Valley”, a collaboration in Sichuan, China with an indigenous theater company of the Yi Minority (Nuosu People) and Rachel Chavkin’s “Primer for a Failed Superpower”. Whitby is a dedicated music educator specializing in group work. He has given workshops at numerous universities and been a visiting teaching artist at grade schools in both NYC and London, England.